Wine is coming – These Two Eyes! Wine is coming…and Bottle Shop Concepts hit the nail on the head once again. I entered St. Kilda Town Hall to the loud instrumentals of the Game of Thrones theme song, was handed my Riedel tasting glass and instantaneous evaluated the landscape of the adventure that lay before me. 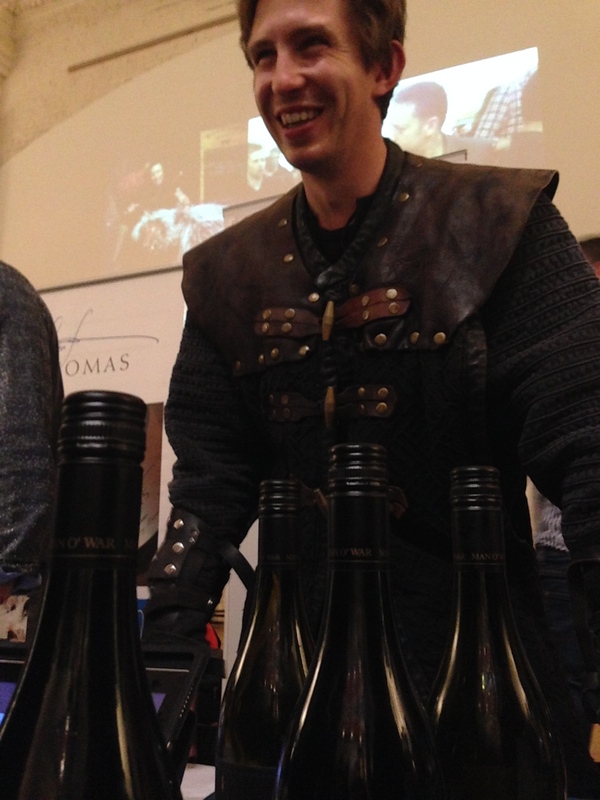 Game of Rhones, a five-hour journey tasting the wine varieties derived from the Rhones Valley in France. The 50 or so producers divided to conquer their aptly themed regions of Southern Wilds (Geelong, Strathbogie Ranges, Yarra Valley), Central Lands (Bendigo, Heathcote, Central Victoria, Goulburn Valley, Pyrenees, Grampians, Rutherglen), The North (Canberra District, Hunter Valley), Western Plains (Margaret River, Frankland River, Great Southern), The Vales (Adelaide Hills, Barossa Valley, McLaren Vale, Clare Valley, Coonawarra), and Beyond the Wall (Rhone). There were over 150 wines on tasting from Shiraz, Grenache, Mourvedre, Carignan, Cinsault, Viognier, Marsanne, and Roussanne amongst blends and other surprising varieties. 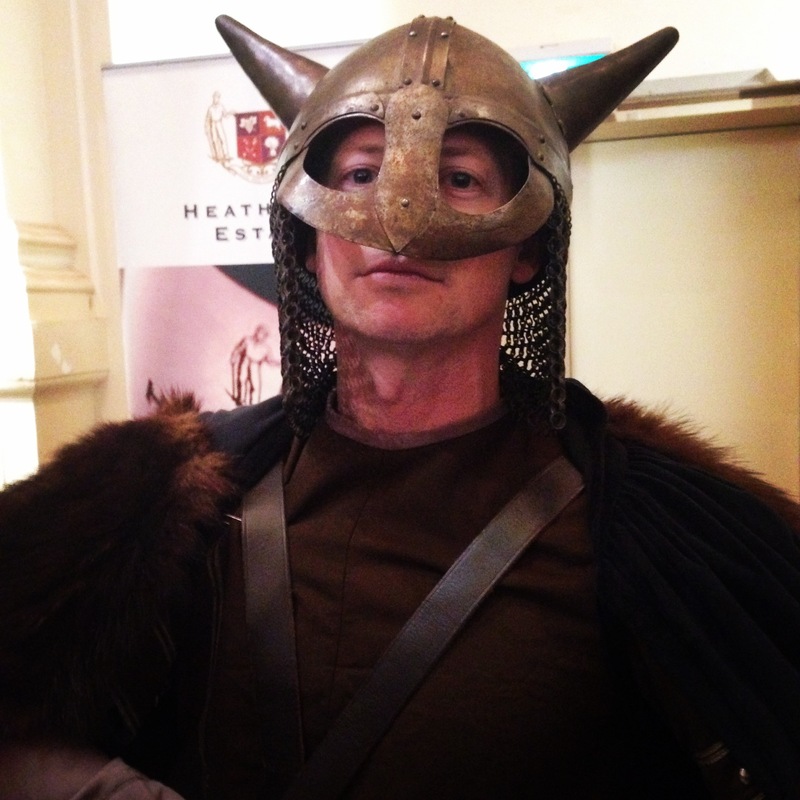 I sipped from vendors dressed as hedge knights and head-to-toe dire wolf fur, from Elvis the Barossa King to a suit of armor crafted solely from wine boxes, and watched as fans and wine enthusiasts imitated characters Khal Drogo, Daenerys, Jaime Lannister and Robb Stark to name a few. Aside from all the eccentrics, the event also allowed me to experiment with new varieties. I had my first Marsanne, Roussanne and GSM, in which the latter I identified as not favorable for my pallet. I learned that Marsanne is classified as the white wine for red wine drinkers, and the Nagambie region is the largest Rhone growing in Australia. My favorite vendor was Michelle from Michelton Wines, who was not only helpful in explaining in great depth about the region and varieties, including their honey toned 2012 Marsanne and 2010 Heathcote Shiraz, but also was the only vendor that I truly enjoyed the whole range from. It was there that I finally recognized that when it comes to Shiraz my preference is heavier, fruit driven and full bodied. Box Grove Vineyard took quite a unique approach with their Roussanne by offering a range of an aged, Sparking, and Shiraz blend. Although I didn’t love it, they were doing something new in the region and even make verjus, the pressed juice of unfermented grapes. I was kindly informed this is non-alcoholic. Attica, famously the best restaurant in Australia apparently goes through a litre a day. The zesty lime and fruity table additive would make a great salad dressing. Notable standouts from the day include Thomas Estate Antiquarian Shiraz 2009; Yangarra Estate Vineyard Viognier 2013 and Old Vine Grenache 2012; Mitchell Harris Mataro, Grenache, Shiraz 2011; Fowles Wine The Exception 2013 Late Harvest Viognier and Stone Dweller 2009 Shiraz. And while last year we drew an affinity to the wine maker from Bay of Fires, this year’s award for cutest vendor goes to the strapping lad from Man O’ War of New Zealand. Luckily for me, I’ll be in town next month to have another try of their Bellerophon 2012 Syrah Viognier. Simply put the event was clever marketing. From prizes for best costume to entertaining Instagram photos with #wineiscoming hashtags, it took the best from our first Bottle Shop Concepts event Pinot Palooza last September and added a theatrical affair. Despite this being the second year running, we commented on the difference in demographic of the two, with more men and groups of friends creating more of a party-like atmosphere at Game of Rhones over it’s sister event that was very girlfriend oriented. Pinot Palooza is back this October and there’s nothing but a ticket purchase standing in my way! Thanks so much for coming along and for the write up of the event. So glad you enjoyed the day and made some new wine discoveries. Just so you know, we actually had just under 50 producers on tastings and a grand total of 170 wines on tasting. Madness! I was stoked how it all came together and was blown away by how many punters dressed up. Hilarious. Hope to see you at Pinot Palooza in October. The line up of wines for that is looking ridiculously good. Thanks Dan! Can’t wait for Pinot Palooza again…I did a small write up of last year as well! Thanks for the update on the final numbers, I’ll adjust my post accordingly. Cheers!